The information you are about to download is substantive, meaningful – and not without its challenges for many people. There are many such wheels used professionally in the Domestic Violence world to aid the process of coming to grips with the subtle and devious methods of the perpetrator. Clare Murphy’s Wheel and List of Tactics is the result of extensive research, PhD study, and ‘hands on’ private counselling. 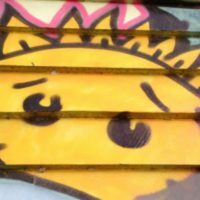 Clare’s work is highly respected around the world and has added to a growing body of work that reveals a perpetrator who claims that they are somehow ‘not responsible’ for their abusive, cruel and denigrating actions … that somehow it is all in the mind of their victim … and somehow it is all the victim’s fault. 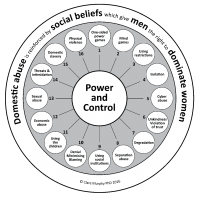 The Clare Murphy wheel with the list of tactics is a start for you, a small beginning, to look into a very big picture of Power and Coercive Control and Psychological Abuse. Clare’s work opens the mind to a wholly different way of thinking about domestic violence and exposes the secret, manipulative processes that perpetrators fabricate to get their way and their self-interested needs met without necessarily resorting to physical violence, which is increasingly illegal in many countries. If you suspect that you may be involved with an abusive person but can’t prove it to yourself – or can’t bring yourself to believe it of someone who is, or has been close to you – then you can use Clare Murphy’s Wheel and List of Tactics as a kind of template to help you decide what is going on in your life. If you do understand where you are in your relationship, can cope, decide you aren’t in danger and have the opportunity and resources to move on, then this information has done its work. But if you feel unsafe, in extreme and desperate circumstances, you need to find safety urgently and reach out to trusted friends, parents, siblings and whatever official organisations in your local area can support and protect you and your family. For many this valuable resource is an eye opener and, once you begin to glimpse the bigger picture of entrapment and curtailment of freedom, you are urged to take care to remain safe under the duress of violence, both mental and physical. Impatient to Understand – and move on?